The Age of Exploration comes to life in this iOS App. 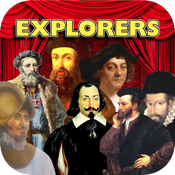 Learn about each of the major explorers to the Americas. • A primary source document. presented to Columbus over the course of his voyage.